he Lawrence and Montgomery Halls in Lahore as photographed by James Craddock in the 1860s. The caption states “Two large Halls for public meetings built by subscription in honour of Sir John (now Lord) Lawrence and Sir Robert Montgomery. 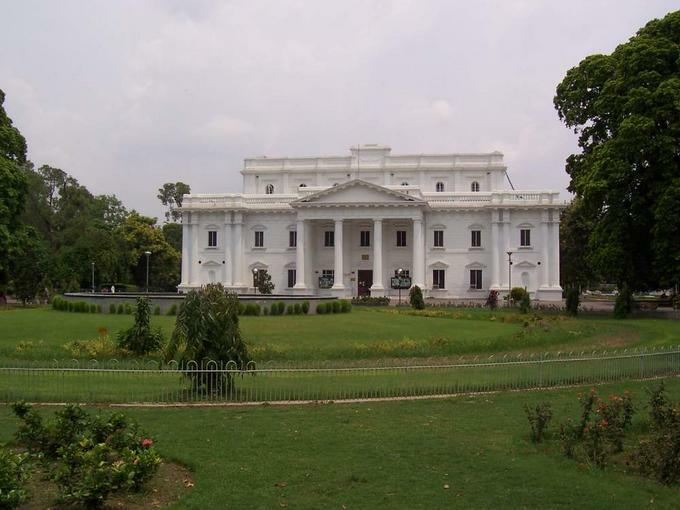 The latter is almost the finest room in India & is used for all the state durbars and Senate meetings, etc. The great ball to the Duke of Edinburgh was in this Hall.” Sir John Lawrence was first Chief Commissioner and Lt. Governor of the Punjab (1853-59) and went on to become Viceroy of India. Robert Montgomery was second Lt. 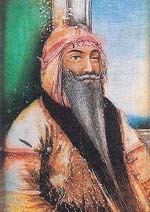 Governor of the Punjab (1859-65). Sir Lawrence played a crucial role during the First War of Independence in 1857 by assuring the supply of troops from Punjab to Delhi. The neoclassical look of the halls was meant to inspire awe in the locals and reaffirm colonial authority after the war. The halls are now being used as the Quaid e Azam Library. I was researching for the history of Lahore the great City of Punjab where my grandfather Ralla Ram Mohindra came to for his college education in 1892/3 and while finishing his college he came across an advertisement in the local paper where the East India Company was advertising for educated persons for the development of the Railway in East Africa called the Uganda Railway. My Grandfather hailed from Malsian district Jullandhar from the Soodhan Mohalla his father being in the business of leasing land to the farmers and hence from a rich family that believed in Education and the values to be gotten wherefrom. My Grandfather without telling his father Lala Moti Ram (he was the only son) applied for this post was immediately called to Calcutta where he was given a crash course in Administration and telegraphy and with a handsome advance given a ticket to sail for Mombasa, Kenya to report to the General Manager George Whitehouse[who was later knighted]as the Railhead Station Master and took the Railway from Mazeras to Kisumu on Lake Victoria the period was 1896 to 1901. 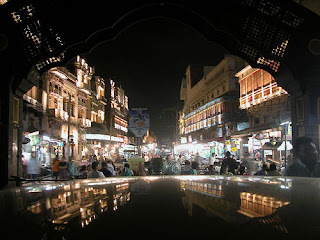 I am putting together history of my family and was wondering if you may be able to help me in constructing the aura of the Great City of Lahore the then Capital of Punjab. I have pieced together some aspects but these only relate to the fact that there were four sections of the city etc. Is there any material that would help me grasp what the Metropolis of that time was and what great thing it was for some one from a village to come to this Great City, get Educated there and them get the dare devil outlook for adventure and exploration in a spirit of fearlessness to a distant part of Africa then known as KALA PANI.. my love for Punjab aside, the great adventure of my Grandfather and what motivated a young man in his late teens to embark on such a journey is what I want to get a handle on. Any help from you would be most helpful and please accept my gratitude which I shall duly acknowledge for the courtesy extended. In 1927 Col Jamaluddin had been posted as Civil Surgeon in Lahore. Mr Kirpalani was the Deputy Commissioner and Sardar Teja Singh was the Sessions Judge. All three Indians were posted together for the first time. With the help of a French architect who was their mutual friend, they planned the community of Model Town, as a retirement abode. Innitially, ModelTown was divided into three parts with a Mosque, a Temple and a Gurduwara as a center point to worship, surrounded by three blocks of housing each. Land at the center of the development was left vacant for recreation and community service centers. 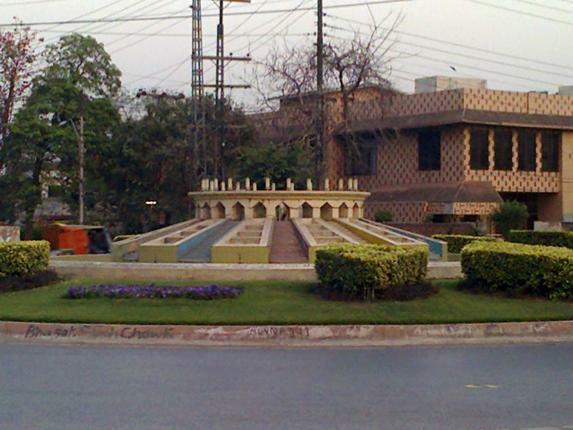 In the northeast corner of the first quadrangle of the Shalimar Garden in Lahore, right next to the fountains, there is an unpretentious yellow-washed rectangular room on a high plinth. Entrance to the ground floor is through a door in the east wall, while in the west is a door and staircase leading down to the basement. The remaining arched alcoves all around are closed by masonry filigree. Here’s to another lost cause in the land of great lost causes – Birdwood Barracks, 22 acres of prime land right in the middle of the city of Lahore and till recently home to the armed forces. The Ministry of Defence, acting more like the Ministry of Offence, has had the ancient barracks pulled down, the rubble carted away leaving ugly mounds where once the barracks stood, the bugles sounded and young muscular “jawans” came out in neat file formation, running in rhythmic tempo as if with one step. Tenders have been duly floated, land values dutifully worked out and auction dates determined. The Ministry of Defence is pressing ahead to make another sale to the highest bidders. Waris Road, on which Birdwood Barracks stood for so many years from the time of the British, this was quite a road at one time – not as much for the clear pond at the head of the road where well-fed fish swam contentedly but for the folk of genteel disposition who lived here. It was on this road, where Sandy Rollo the great portrait master photographer was seen rowing a boat during one of the great floods that sent the waters of the Ravi rushing headlong over the “Bunds,” across the great length of Ravi Road, past the Badshahi Mosque and down across Bhatti into the lower and then the upper reaches of The Mall and well into localities such as Waris Road, the road that linked Lahore’s Queens Road with Jail Road, past the famous girls’ hostel of Fatima Jinnah Medical College. Sandy Rollo was to Lahore what Karsh was to Ottawa. As he rowed past, hailing all his many friends who lived here, the gasping residents wondered. A boat on Waris Road? What next and what madness had descended on Sandy? More importantly where did he get that boat? Bapsi Sidhwa’s Lahore is a lovingly embroidered family heirloom. A city hasn’t been showered with such love since Dalrymple wrote about Delhi. Bapsi Sidhwa’s edited volume on Lahore in fact far exceeds it. After all, Dalrymple was nothing but a foreigner who had only spent a few years in Delhi when he wrote the book, while Sidhwa in her endeavor is accompanied by a range of distinguished authors and intellects, only tied together in their love for Lahore. The love for the city, its landmarks, its famed cuisine, its gourmets, its brutalizing summers, its people, its stories, and its relationships shines through on every page. Every great city deserves an admirer and chronicler of the calibre of Bapsi Sidhwa – someone who will perspicaciously and assiduously collect stories that celebrate her beauty and look unflinchingly, yet lovingly, at her bruised soul and her warts. The book strikes an immediate rapport that is akin to being invited to an intimate familial Punjabi gathering. I felt alternately like a kid sitting on the lap of my maternal uncle being told stories about the city, a young adult guiltily listening to the adult conversation about the brutal tales about city’s history, and an objective adult reflecting on history, and politics. LAHORE, April 19: A number of Punjab Civil Secretariat’s old trees have been felled as part of Chief Secretary Javed Mehmood’s ‘demolition plan’ and the premises has been denuded of its natural beauty, green shadows and most importantly the historical links. Among the felled ones is a red berry tree, which was standing near the back gate of the secretariat and was famous for its sweet fruit. 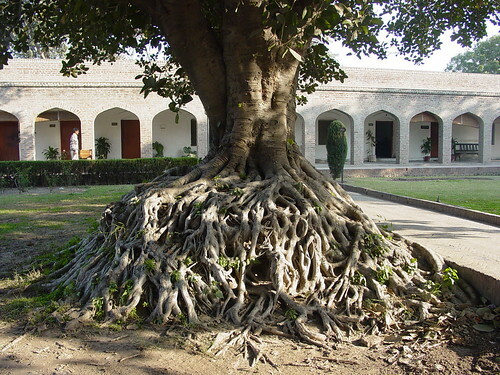 It was perhaps one of the very few red berry trees in Lahore and was a link between the Lahore of today and the past. THE 50 years of Sikh rule in Punjab (1799-1849), with Lahore as its capital was basically confined to the areas, minus Amritsar, that came to be known as Pakistani Punjab.The seat of power was called the ‘Lahore Darbar’. During this time, like never before in the history of this land, the role of courtesans rivalled those of Florence and Venice in the Renaissance period. Men in power loved beautiful women. It is a universal, natural and timeless happening just as beautiful women know how to exploit men in power. In Elizabeth the First’s England, handsome men weaved their charm around the queen, giving rise to the best of Shakespeare’s works. It has always worked both ways, for “mutual benefit” as a bankerfriend of mine so aptly puts it. 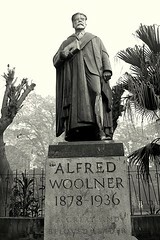 “Alfred Woolner was the vice chancellor of the Punjab University from 1928 to 1936. His is the only statue left of many that were positioned in front of prominent buildings during the British Raj in a wave of imperialistic civic zeal. Now, with the title of ‘colony’ no longer hanging over our heads, we are in a better position to appreciate the aesthetic value and historical importance of these effigies. That is if it’s not too late. The statues were a significant part of my youth,” said Sajjid Abbas, a septuagenarian Lahori who knows the city like the back of his hand. “I would often walk down The Mall and take photographs of these beautiful sculptures because I knew that they would disappear one day.” There were a total of ten such statues, each narrating the grandeur and the might of British rule, said Mr Abbas, taking a walk down memory lane and relating the history of each of the sculptures. The first on Mr Abbas’s list of these “emblems of British authority” is the bronze statue of Queen Victoria that was placed in the pavilion of the assembly chambers.